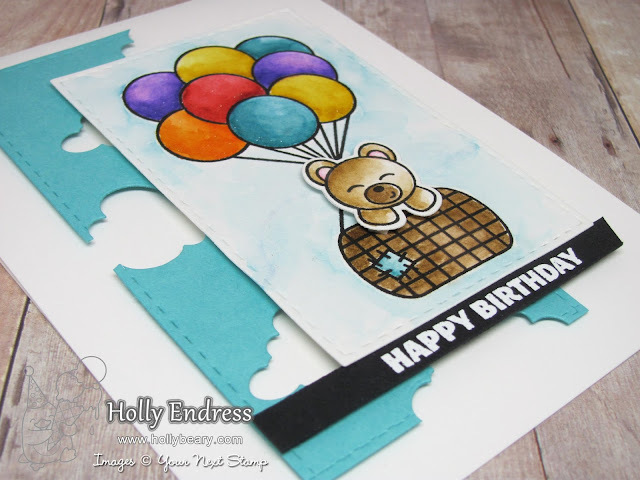 Hollybeary Creations : Happy Birthday!!! Happy Friday everyone.. It's time for a new Challenge at Your Next Stamp. 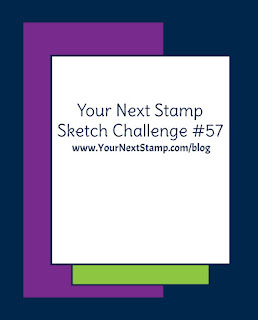 We have a Fun new Sketch and Color Combo to choose from or you can mix them up like I did this week. 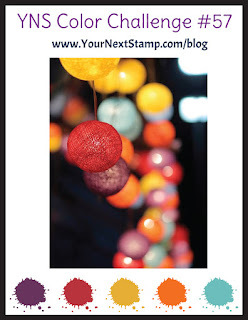 I LOVE this color combo... it's so Bright and Cheery!! 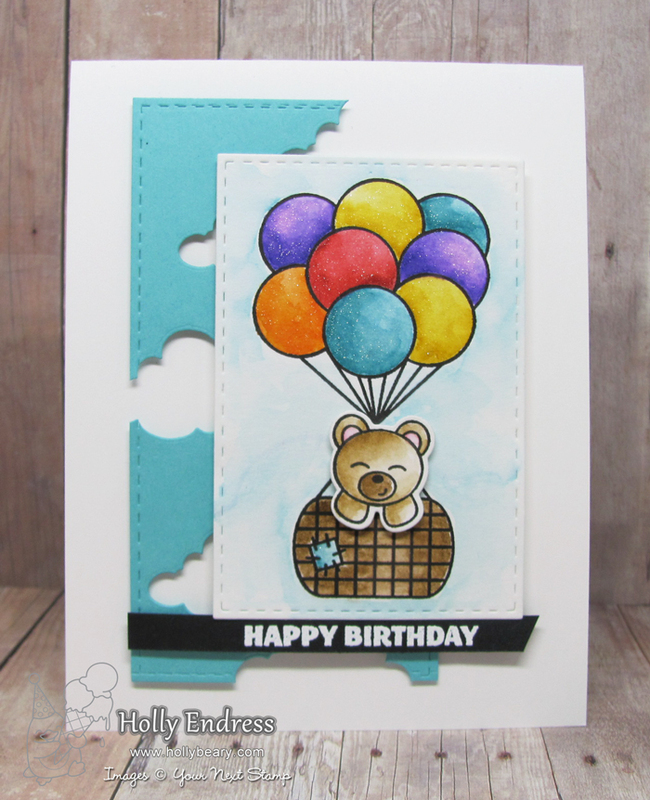 I'm using the Basket Animals stamp set and Coordinating dies along with the Cloud dies from the Just Plane Amazing Stamp Set. I started by creating a Top folding White card base and then I added a piece of Turquoise card stock that I die cut with the Stitched Rectangle Die. Then I die cut a few clouds from the panel and adhered it to the front of the card using some foam tape. 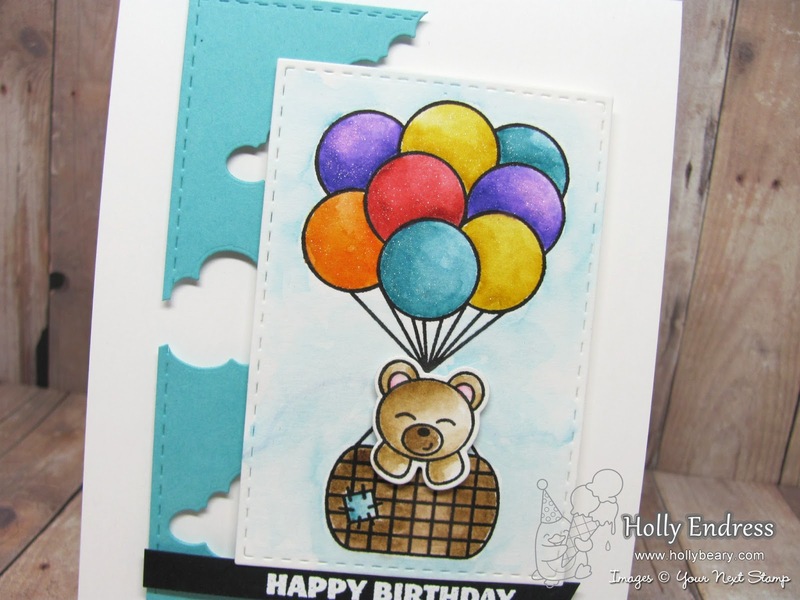 I stamped the Basket and Bear image onto a piece of Bristol card stock and colored it in with Distress Markers. I stayed with the Challenge colors and added in a Brown. Once the image was colored I used the stitched Rectangle dies to cut the image out and then I adhered it to the front of the card with some additional foam tape. For some shimmer I added some Clear Wink of Stella over the Balloon images. I stamped the sentiment onto a strip of Black card stock and heat embossed it in White. 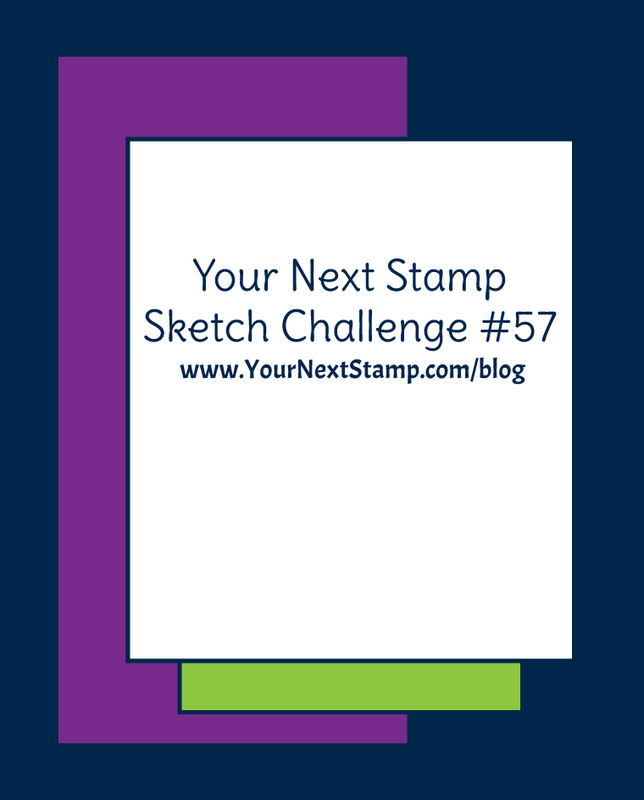 Head over to the YNS blog for more Inspiration from the Design Team and all the rules on how to join us for a chance to Win.. and for a second chance to Win be sure to use #ynschallenge57 when sharing your projects on social media!